All that remains of the abandoned South Carolina textile mill that was the site of the nation's deadliest violence during a labor strike 75 years ago are crumbling brick walls, creaky wood floors and whispers of the tragedy. The fate of Chiquola Mills is unknown, the site slated for auction in November after the owner failed to pay $5,000 in taxes and stopped demolition amid tough economic times. There are some who want the horrific memories to fade with the building. 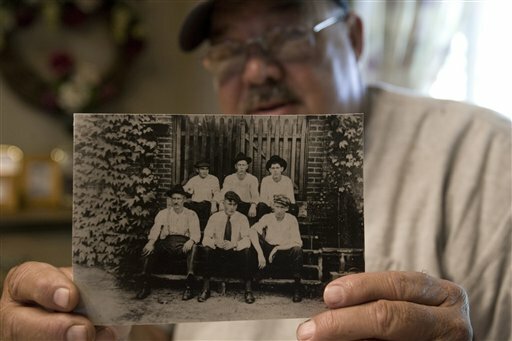 Others see an opportunity to preserve a historic site where seven mill workers were gunned down when the superintendent, who was also the town mayor and judge at the time, ordered armed guards, many of them fellow townspeople, to fire into the striking workers. On Sept. 6, 1934, workers mired in the midst of the Great Depression and angry over low wages and harsh working conditions took to the streets and descended upon the mill as other employees were headed into work. Dozens of people were injured in the shooting and melee in Honea Path, a rural town in northwest South Carolina about midway between Atlanta and Charlotte, N.C.
"This could be so much _ a monument to the people that lost their lives," said Tommy Martin, a 59-year-old former city councilman who is trying to rally the community to rescue the mill. "It can still be saved." The shootings ocurred amid a national labor strike that saw widespread violent confrontations among workers trying to form unions and police and private security working to stop them. About a year later, Franklin Roosevelt signed the National Labor Relations Act of 1935, which recognized workers' rights to collectively bargain. The only current marker memorializing the South Carolina tragedy is a plaque in a nearby park. For some, that's not enough. "It's just sad that here you have a landmark that was involved in changing the labor laws just wiped away," Martin said. "If it's gone, when you ride by you'll never have any indication that it ever existed." Honea Path Mayor Earl Lollis Meyers said the city doesn't have the money to buy the building and worries about the mill's "liabilities," like loose bricks. Without the building, the history of the mill shooting could easily dissolve, said Frank Beacham, the grandson of the mayor and mill superintendent who ordered the shooting. He attended a dedication ceremony in 1995 for the small plaque and hopes more will be done. "I think they (workers) did what they thought was necessary," said Beacham, who has expressed remorse in editorials over his grandfather's actions. "And as a result of paying the ultimate price, a lot of good came from it." Thomas Terrill, a history professor emeritus at the University of South Carolina, said the shootings were a reflection of the anger of the time. "Honea Path was certainly an expression of the extreme hostility of the industry and most of the political leadership of this state toward organized labor," Terrill said. "It's frightening to think that people would actually gun down their neighbors. But people will turn on their neighbors when sufficiently angry." Resentment continues to fester even today, the mayor said. "It's our history, but it remains a painful subject," the mayor said. "The reason so many people don't like to talk about it is because it was brother against brother and friend against friend." The shooters were never charged or went to trial. "It was the saddest thing to ever happen to Honea Path," said Jessie Mae Holder, an 84-year-old woman whose mother was wounded in the shooting. Holder's mother died years later with a bullet still in her arm. James D. Cannon, a grandson of one of those killed, recalls stories about his grandmother's struggle to feed and raise her children after her husband was shot to death. "He was just flat murdered. There's no two ways about it," said Cannon, 65, a retired state rooper. Holder and Cannon are among those who want to see the mill saved. With its massive size, the building could house a museum chronicling the shooting and other businesses, said Martin. Beacham, Martin and others have been fighting to save the building since the mill was shuttered in the fall of the textile industry in the early- to mid-1990s and have even considered buying it themselves. Martin said the building has about $180,000 value, but the current owners were selling it for $1 million. The owner, L.C. Jones, would not give the AP a sale amount, but said he's willing to work with interested buyers. In its heyday, the mill was the economic backbone of the town. Now, there's double-digit unemployment and demolition crews have stripped valuable wood and bricks from the building. Holes reveal floors once filled with machines and workers. The building, the largest in the area, has become an eyesore. Partially ripped out wooden and metal beams are covered in dust, paint chips and cotton fibers, while grass and kudzu grow through concrete _ a familiar image of manufacturing's decline. "It's murder again," said Honea Path resident Nora Hughes-Smith, 62. "They're murdering the building."